If you want clear, beautiful skin, the first step is washing your face, right? Not so fast. It’s absolutely true that you need to remove dirt, makeup, and pollutants from your face. And you need to do this regularly. But we all know you can have too much of a good thing. That even includes washing your face. You should wash your face at the end of the day. You don’t want to go to bed with grime clogging up your pores. And the evening is the perfect time to apply products like serums and moisturizers. Of course, you don’t want a layer of makeup or dirt trapped in between your skin and your products. So you need to start with a clean slate. But there’s a right way and a wrong way to do it. Plus, the jury’s out on whether you need to “erase” the slate again in the morning. Here’s how to know if you’re overdoing it. If your face feels dry, tight, or taut after you wash, you’re likely working too hard or using a too aggressive product. We often feel we need to strip away all of the dirt and oil to keep our pores clear. But our natural facial oils are there for a reason. They help protect the skin. On the flip side, excessively oily skin can also be a sign that you’re overdoing it. Because those oils have a purpose, the skin starts to panic if you strip them away too often. It responds by overproducing oil to make up for the loss. This can leave you with that strange combination of skin that’s both dehydrated and oily. This can lead to breakouts, another sign (believe it or not) of over-washing. Of course, some people genetically have oily skin and they are most likely in a different category. But if you strip away protective oils too often, you can also end up damaging the skin barrier. This is irritating on its own. But it also means that products that are supposed to stay on the skin’s surface can now get through. 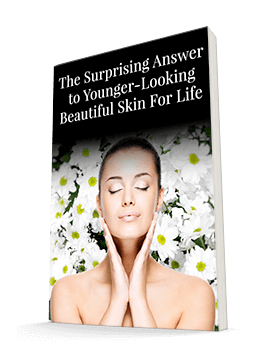 There are certainly some skincare products that you want to penetrate the skin. And they’re designed to do so without disrupting barrier function. But others, such as sunscreen, need to stay on top. If they don’t, they can create rashes and other reactions. The rash will disrupt the barrier further, allowing other irritants in. UV rays, pollutants, and other toxins will all be able to sneak in and begin wreaking havoc. One particular rash to watch out for is seborrheic dermatitis (SD). If you start seeing red, white, or yellow flaky patches in your T-zone, it could be SD. SD can also make your skin look swollen or greasy. If you suspect you have SD, talk to your dermatologist. It’s easy to mistake SD for psoriasis, eczema, or allergies. But you need to treat all four of these issues differently. So you may need professional help identifying the cause and solution. If you do have any of these telltale signs of over-washing, it’s time to dial it back. Some dermatologists recommend that you wash your face only once per day, right before bed. Others say you can do twice per day – at morning and before bed. And of course, you should always clean your face after you sweat heavily or spend time in the ocean or pool. If you’ve been washing multiple times a day in an effort to clear up acne or SD, the washing itself may be the culprit. Try cutting back to twice or even once a day. Make sure you use warm water, not hot. Use a gentle cleanser. While your skin recovers, you don’t want anything too abrasive. In fact, you should use your fingers rather than a washcloth to gently massage the cleanser on and off your face. Even a cloth may be too harsh at this point. And, of course, if you are over 45 and have skin that tends to not be oily, consider Système 41. It is a cleanser that not only cleans your skin but does not strip the naturally occurring facial oils. To use: Apply an even layer on dry skin. Leave on for one minute. Gently massage with a light touch in a circular motion with warm water for a light foam lather. Rinse thoroughly and pat dry. Follow with a moisturizer, preferably Système 41’s Day or Night Treatment. Make sure you follow up your cleansing routine with moisturizer. This will help soothe the skin as it begins to repair any breaches of the barrier. You may even want to consider a face oil to help relieve that dry, tight feeling and convince your skin that it has all the oil it needs so it stops overproducing. If you currently wash your face twice a day and aren’t having any issues, carry on. It’s easy for your skin to soak up indoor pollutants and junk from your pillowcase while you sleep. Ultimately, your goal is dewy, healthy skin. Overdoing it can backfire. As in every aspect of health, moderation and balance are key to a happy complexion.